While the commercials about identity theft maybe funny, identity theft is no laughing matter. 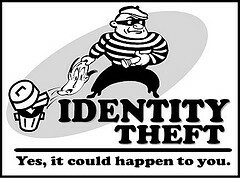 Identity theft occurs when someone’s personal information is used to access money. According to the national crime and victimization survey it is estimated that identity theft cost Americans approximately twenty-four billion dollars in 2012. In fact, in the time it will take the average person to read this first paragraph, research estimates there will be fourteen new identity theft cases or one victim every two seconds (Javelin Strategy & Research in 2013). In 2013, the Federal Trade Commission ranked Florida as number one with regard to fraud complaints in the United Sates. The top reason for fraud in Florida was listed as stealing social security numbers to collect phony tax returns or to collect another government benefit. UF IFAS Extension Family & Consumer Sciences has some tips to help you be proactive when it comes to protecting your identity during tax time. Choose a reputable tax preparer or consider visiting a Volunteer Income Tax Assistance (VITA) Site. Only carry your social security card and tax documents to and from the tax site. When you are not using these documents, put them in a safe place at home. Check your credit report frequently. You can obtain one free report from each of the three credit bureaus every 12 months. Identity theft is no laughing matter. Use the steps above to help protect your personal information. If you believe that you have been a victim of identity theft report incidents to the Federal Trade Commission at 877-738-7338. For more information on identity theft or for help reading your credit report contact your local UF IFAS Extension Family & Consumer Sciences agent.